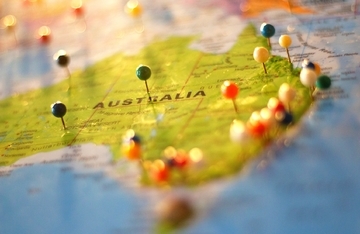 Australia is located in the Oceania and is considered an island–country because is surrounded by the Indian and the Pacific Ocean, is also considered one of biggest country of the world in extension (7,69 million of km2). It is divided in 6 estates: NSW (New South Wales), QLD (Queensland), WA (Western Australia), VIC (Victoria), SA (South Australia) and TAS (Tasmania) and two territories – ACT (Australian Capital Territory) and NT (Northern Territory). The Australian population is considered small (about 25 million inhabitants), being the biggest part concentrated on the East coast. 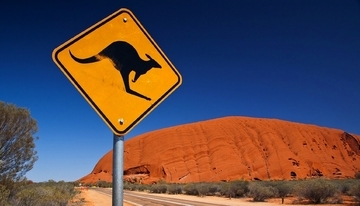 Australia is considered one of the best countries in the world to travel, where you find safety, excellent roads and you can enjoy a huge variety of landscapes and climates, with sunny days, idyllic places, rainforest, pristine beaches, deserted areas, snow, small villages and cosmopolitan cities.